It’s the caviar of cannabis. The marijuana product known as “Moon Rocks” starts out with fine cannabis buds — historically, Girl Scout Cookies, but any top-shelf flowers will do. The buds are then dipped in hash oil and sprinkled with kief. That’s right, stoners, the holy trinity: bud, hash oil, and kief, all in one delicious product. And, let’s face it. Moon Rocks are aesthetically pleasing, which is just a fancy way of saying it looks cool af.The innovation was reportedly developed and promoted (and some say invented) by rapper and businessman Kurupt, formerly of Tha Dogg Pound, along with fellow rapper Dr. Zodiak. You only need three ingredients: high-quality cannabis flowers, hash oil, and kief. The importance of starting with good weed can’t be overstated. Making Moon Rocks is not the time to cut corners. 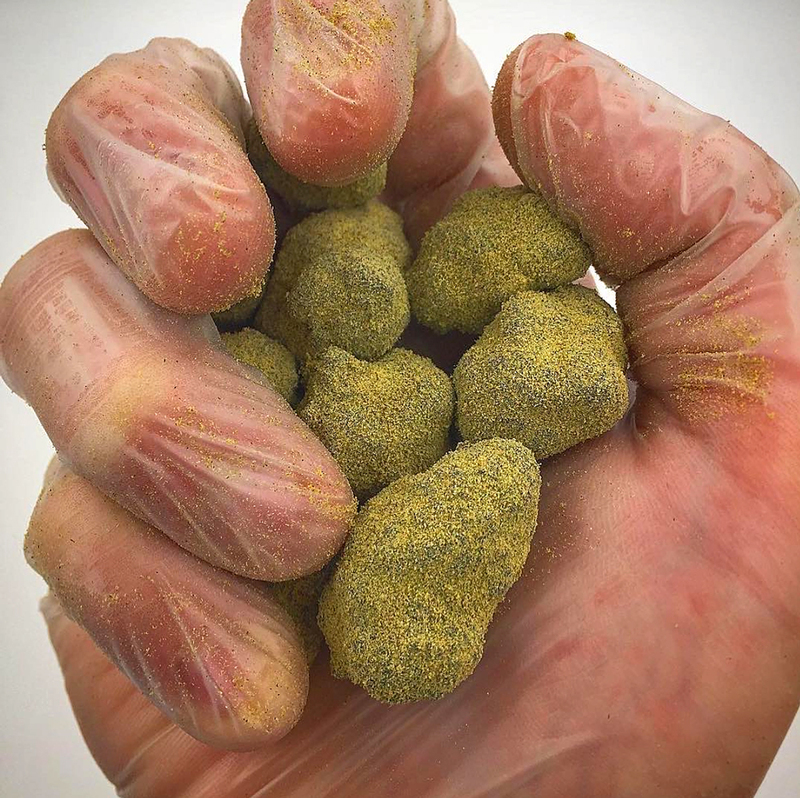 Making Moon Rocks is a perfect opportunity to exercise your creativity by mixing and matching different types of cannabis flowers, hash oil, and kief. Imagine Green Crack kief covering a Strawberry Cough flower infused with Snoop’s Dream hash oil. The strain combination possibilities are endless. Hash oil is extracted from cannabis, often using a solvent such as butane or alcohol. 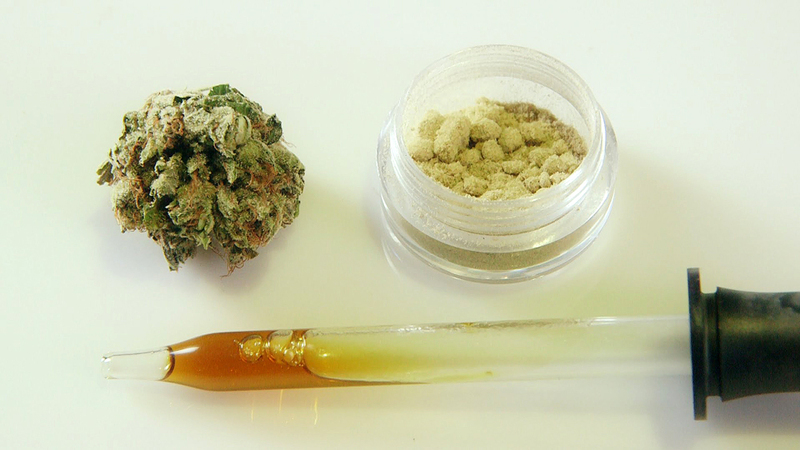 The hash oil’s viscosity provides the stickiness needed to hold on the kief. The oil can be thick and difficult to manipulate. If that’s the case, gently heat it up to soften and liquefy. Keep the heat low so as not to vaporize the cannabinoids. Kief, of course, is the fine powder composed of dried resin glands (the trichomes we know and love) found on cannabis flowers. It just so happens that these trichomes are where the cannabinoids, including THC, are found. It helps to have tweezers or tongs on hand to hold the buds as you dip them in hash oil. But dipping isn’t really necessary. You can also brush on the oil with a pastry brush, or deposit it on the flower with a dropper until it’s thickly layered. Let the oil soak in a few minutes, then add a little more (this is no time for half-measures). Let the second layer soak in, then roll or dip the oiled bud in kief until no more will stick. After a few minutes of drying, these Moon Rocks are ready to get you stoned. So, what’s the big advantage of Moon Rocks over regular cannabis flowers? It’s the fact that you get twice as much THC with every toke. I mean, do the math; fifty percent THC vs. 20 or 25 percent THC? Beyond the brute force of massive amounts of THC, Moon Rocks taste wonderful. Smoking them in a pipe gives a terpene-rich hit that contains the tastes of top-shelf flower, potent hash oil, and synapse-tickling kief all at once. Moon Rocks don’t burn as easily as regular buds, so it can be difficult (not to mention potentially wasteful) to consume them in joint form. So, how to smoke Moon Rocks? The recommended method is to put them in a glass bong or pipe. You don’t want to use a grinder on Moon Rocks. That would be almost sacrilegious, and besides, you’d lose a lot of hash oil and kief in the process, because it would stick to the grinder. Breaking them up by hand results in too much good stuff getting stuck to your fingertips. You want to chop ’em up with a knife or break them up with tweezers if at all possible. Medically speaking, Moon Rocks can provide quick, potent relief of pain and nausea. Since THC levels are typically twice as much as in untreated flowers, patients only have to smoke half as much to get relief, which is a big advantage. Chronic pain patients who have to keep a steady level of cannabinoids in their system appreciate the fact that with a medicine as potent as Moon Rocks, they no longer have to smoke constantly to get relief. Medical marijuana patients also vouch for the effectiveness of the Moon Rock drug when ground up and cooked into edibles. All those cannabinoids provide a lot of relief, whether they’re smoked or eaten. Anyone or all three of the Moon Rocks components — buds, kief, and oil— can use a high-CBD strain to target certain medical conditions. Moon Rocks typically go for at least $25 and up to $40 a gram in dispensaries. That sounds crazy expensive for a gram of weed until you remember the hash oil and kief. Those special ingredients can bring up the THC level to more than 50 percent. Typical flowers run between 20 and 25 percent. If you’re thinking, “Wait, I could buy top shelf hash oil itself for $40 a gram,” you’re right. But first of all, with hash oil, you’re not going to get the terpene tornado you get with every hit of Moon Rocks. And secondly, don’t forget that making Moon Rocks involves some additional labor once the weed is ready to smoke, the kief is collected, and the hash oil has been extracted. What are Moon Rocks, if not an extravagance? But, come on, man. What’s life without the finer things? Previous Post Marijuana Margaritas Next Post Why cannabis causes red eyes?